With more and more frequent & severe droughts becoming the norm, more and more folks are looking for ways to save water and still keep a potted garden. Buried jars called "ollas' help to seep water onto the plants roots, along with times drip systems. Why not start with a plant that is drought tolerant and save half the battle. 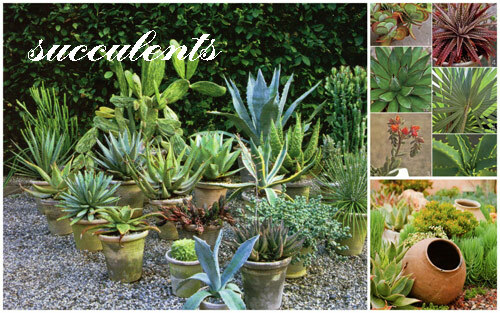 Succulents are hardy and know for being durable when it comes to watering needs and schedules. They come in all shapes and interesting sizes, from soft fuzz to spiky spears. They are easy to grow, easy to divide and easy to maintain. Who doesn't like all of these things. Have you ever seen a bed of hens & chicks. So colorful, and interesting. In Arizona we love the prickly pear cactus with their big mickey mouse ear pads. 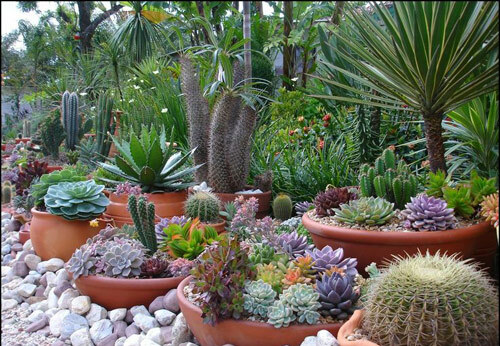 Many potted succulents come in reds, blue and purples. Who doesn't love that touch of color in your garden containers? 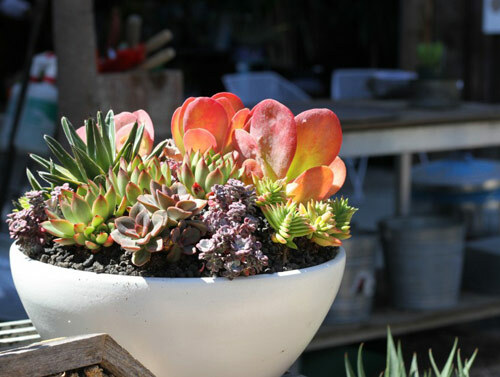 Potted succulents love poor soil, low water conditions and dry shade. 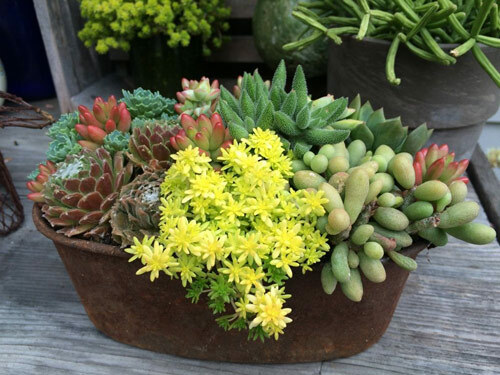 If you are in a humid climate you can still grow succulents but you must make sure that the garden container you use has excellent drainage. Otherwise the succulents roots will rot and the leaves and stems will attract fungus. Make sure that there is good air circulation around the container as with any time of potted plant. Most garden centers have potting mix for succulents & cactus and we recommend starting with these first. Try potting a focal point plant in the center of the container. Yucca are great because they shoot up and out and are outstanding looking. 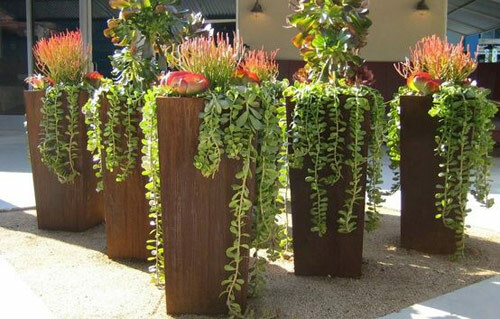 Then place smaller succulents around the focal point and fill in. Try to keep frost tender assortments together and low growing ones with slow growing ones. If you are looking for an outstanding display place a tall dracena tower in the center of a large planter with trailing succulents around the edge. This really makes a huge statement. Mix variegated ones with herbs, flowering companions, and ornamental grasses. Mix it up!